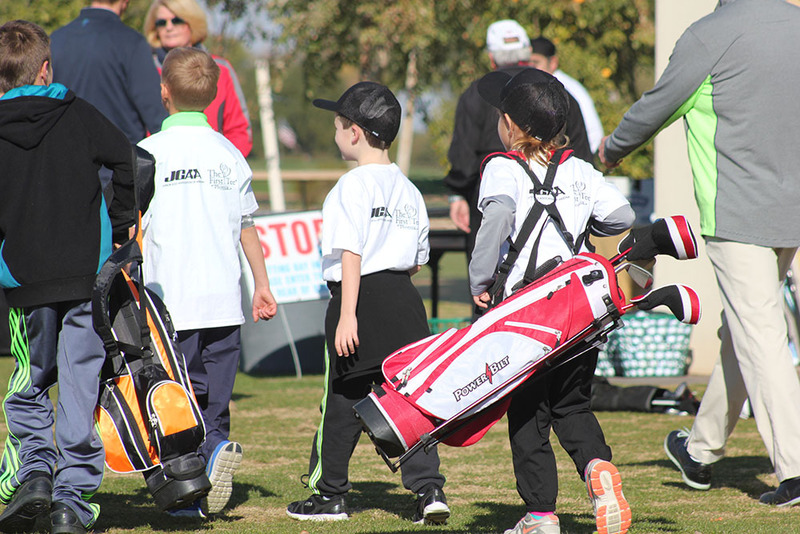 Litchfield Park, Ariz. – As the top collegiate golfers took to the Arizona Wigwam Golf Club for the first round of tournament play Tuesday, in the 5th annual Patriot All-America, the next generation of golfers teed up on the practice range for a youth skills clinic. 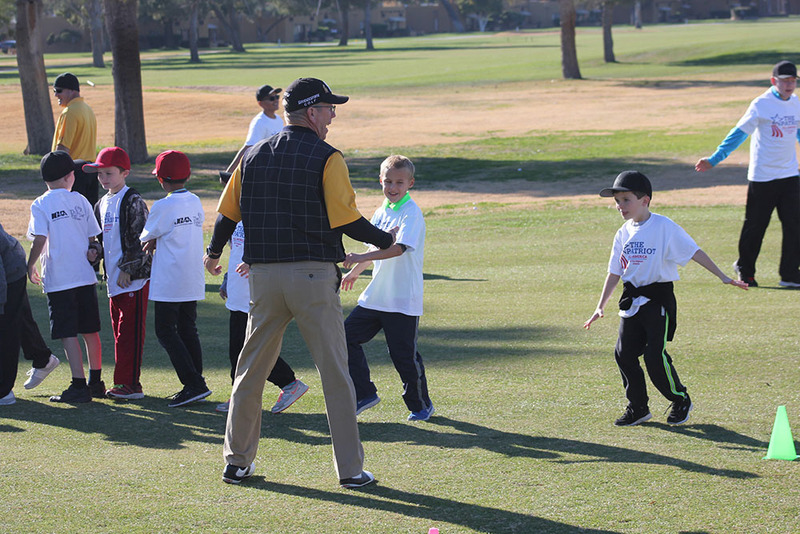 Hosted by the First Tee of Phoenix, along with the Thunderbirds and the Junior Associations of Arizona, young golfers, ages seven and up, participated in skill building activities designed to enhance their understanding of golf while also learning valuable life lessons. 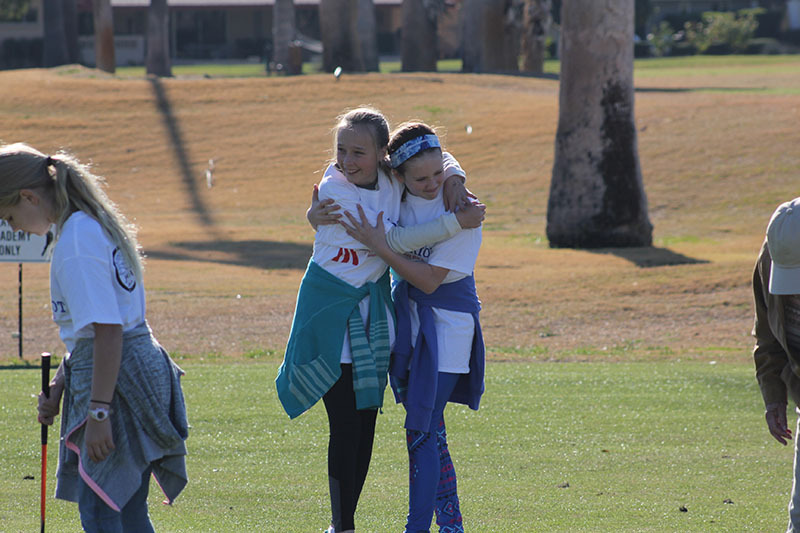 But skill level and golf knowledge did not define the clinic and despite a slight December chill in the air, the large group of enthusiastic children, clad in matching white t-shirts, listened intently as instructors related one of the nine core life values to the game of golf. “We learned how to spell a word,” said six-year-old Taylor Stephens, this word was respect. “It means to be kind to people,” beamed Taylor, who despite being a year shy of officially participating in First Tee events, was not too young to understand the message behind the clinic. Organizers from First Tee chose to focus on the value of respect because it is a key element to being successful both on and off the golf course, but also because it gave instructors a platform to relate the clinic to the collegiate tournament which was taking place just a driver shot away. “We gave t-shirts with the patriot [logo] on them and we talked to the kids about respecting the service people,” said Meek. this message of respect for the troops was well received by participants of the clinic and their parents, who praised organizers for incorporating the importance of the tournament with the youth event. “They did talk about the fallen soldiers and how the golf players are respecting fallen soldiers today out on the course,” said Jen Stephens, the mother of four clinic participants. At the end of a fun filled two hours of putting, chipping and range games, the children were treated to a picnic style lunch followed by a surprise visit from two of the golfers competing in the tournament. After their rounds Turner Howe from the United States Air Force Academy and Carr Vernon from California State University, Monterey Bay, joined the clinic on the range to talk to the children about the importance golf has had on their lives, and to show off some tricks of the trade that come from years of hard work and practice. Parents were impressed that these athletes, whom their children look at as role models, would take the time to come participate in the clinic, while event organizers hope that this interaction will encourage the children to follow their dreams.